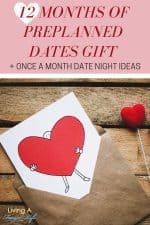 Valentine’s day is almost here and these budget date ideas are a great way to show you love without breaking the bank. After all, showing someone you care is really from your heart not from your pocket book. While we have more money now that my husband finally has a real job, We still love to save money. ;) We especially love to save money on holiday’s by thinking outside of the box. 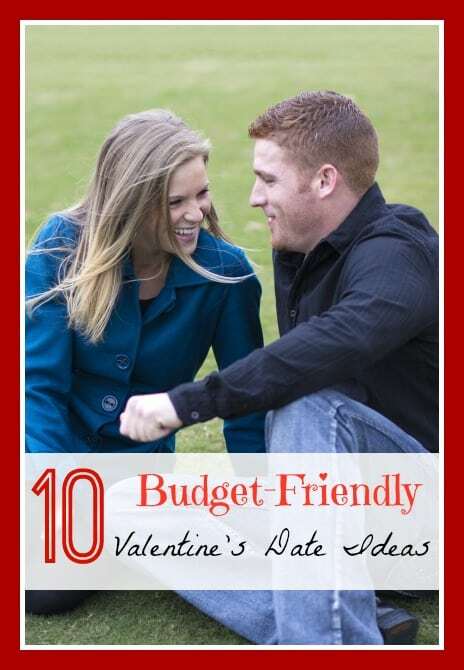 Here are 10 of our favorite budget date ideas for Valentine’s day that won’t break your budget. Do a movie night with a theme. Perhaps you would both like to watch a series together or movies from the year you met. You could also re-create your first movie date together by renting the movie you saw, getting the same candy or treats you ate and if you can remember, wear something similar to what you wore. It gives you a chance to work together on your feet and the best part is spending a cozy evening afterwards warming up. Make some hot cocoa to end your day with. Most rinks allow renting for as little as $3 for the day for skates. Buy some massage oil and face masks. Set up a foot soak with Epsom salt and essential oils. Give each other TLC and enjoy treating each other right. Doing the massage by candle-light makes it even more romantic. Do a fun winter photo session. Just grab your camera, dress up in nice clothes and hit up some beautiful spots in your area. Have fun taking pictures of each other and go home and edit them. Take it back to your childhood and spend your day having a video-game fest. Break out the snacks (kiddie themed if possible!) and lounge around in your PJs. If you really want to go out for a meal, make it a lunch date. Lunches tend to be just as big as dinners without the heavy ticket price. Alternatively, you could make a meal at home and go out for dessert and gourmet coffee. This may seem expensive, but if you do it at a thrift store, it doesn’t have to be. Jazz up your trip by splitting up and picking out wacky outfits for each other to try on. Buy each other one small and unique gift. Take pictures to remember the fun you had. Many adult education centers or high end grocery stores offer cooking classes that are less than $30 for a couple. So you not only get a new skill and some fun together, but dinner as well. Just inquire for the dates of the classes and have fun making something together. This may sound lame, but you would be amazed at how fun it can be and most factories offer free tours with free samples at the end. Try a chocolate factory for extra fun. If you can’t afford to take a weekend trip or even a day trip, be a tourist in your own city. Go to the free tourist traps. Try the local area shops and window shop. Most of all, keep an open mind and act like everything is all new to you. Make sure to take along your camera so you can capture your “trip”.